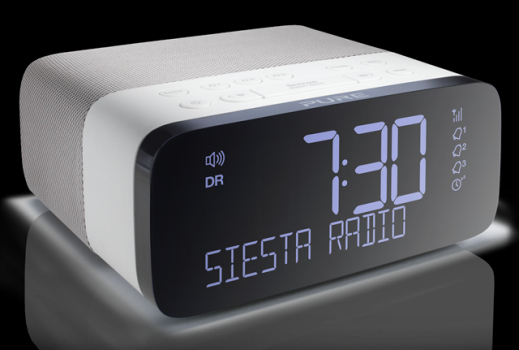 Bedside DAB digital radios with an alarm clock are an ideal way to wake up to your favourite DAB digital radio station. 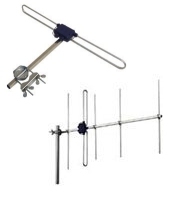 Many models can also tune in to the FM waveband, too - giving you a wide choice of stations across two wavebands. » Keep up-to date with information on sale items, long-term price cuts and end-of-line models. » Scroll down the page to find news articles & more information about DAB alarm clocks. Simplicity is the order of the day with three nighttime brightness settings and DAB & FM. Alarm clock features gently glowing red numerals, so your bedroom isn't bathed in light. Cube styled digi radio features DAB and FM tuners and handy CD bookmark function. It's the middle of the workday! Need a Siesta? Mi 2! Sporting two alarms and a rising volume, the Siesta Mi 2 features an auto dimmer, too. Roberts iDream2 lets you "turn off time"
Compact DAB alarm clock has option to turn off the time display completely while you sleep. Remote-controlled bedside clock radio features twin speakers. We also list a large selection of DAB portable and tabletop radios with alarm features - just look for the word "alarm" in the key features box. In addition, many of the affordable DAB radios from Pure feature a single alarm feature. We feature dedicated alarm clock radios with iPod docks further down this page. Radios with such features as multiple alarms, CD players and dimmable displays can be found below. Further down the page, we feature alarm clock radios with iPod docks. dual-line green-on-black low-power display giving station information, etc. compatible after firmware upgrade what's this? yellow numerals on black OLED screen giving station information, etc. compatible after upgrade what's this?